We’ll start this week with a race that does not involve the Kentucky Derby. 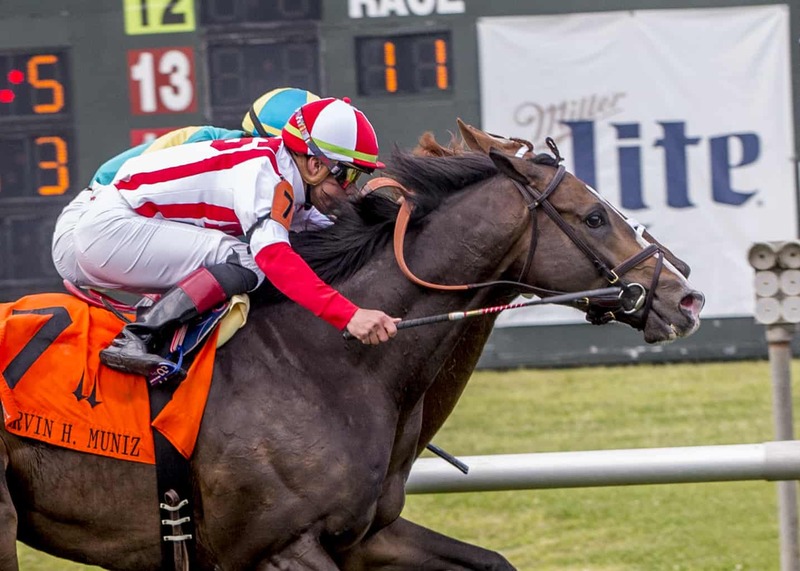 The inaugural Pegasus World Cup Turf (G1) winner Bricks and Mortar was back last Saturday in the Muniz Memorial Handicap (G2) at Fair Grounds. Bet down to 1/5 favoritism, he was supposed to be the easiest of winners, yet that was not the case at all. The longshot Markitoff got out to an easy early lead and proved to be a stubborn foe to pass in the stretch. At the top of the lane, Bricks and Mortar went after the leader, drawing along side him in mid-stretch. At that point, the race was on, with the two horses bobbing heads all the way to the wire. In the end, Bricks and Mortar won the bob by the slimmest of margins, cashing in by a nose in what was the most exciting race of the weekend. Even with the pace dynamics squarely against him, Bricks and Mortar proved that he can still get the job done in what was a sneaky-good performance. Credit: Hodges Photography / Lou Hodges, Jr.
After a complete disaster of a trip in the Southwest Stakes (G3) last time out, some wrote off the Todd Pletcher-trained Cutting Humor, but that turned out to be a big mistake. After getting a perfectly patient ride from jockey John Velazquez in the Sunland Park Derby (G3) and stalking a hot pace set by Mucho Gusto, Cutting Humor was poised to pounce when turning for home. He was also able to get the jump on Anothertwistafate, which ended up being the difference in the results. Approaching the wire, Cutting Humor’s lead was dwindling, but he had just enough left in the tank to hold off Anothertwistafate to win by a neck. Pletcher came into this weekend with zero Kentucky Derby horses, but he exits the weekend with two now firmly in the starting gate. We’ve gotten used to seeing surprising results in the three Kentucky Derby Prep events at Fair Grounds. However, this year had been formful heading into the Louisiana Derby (G2), with War of Will winning the first two legs. All of that changed on Saturday when War of Will tweaked a muscle early in the race, causing a wide-open scramble down the stretch for the win. Turning for home, it looked like the Pletcher-trained Spinoff had the race won, but By My Standards had other things on his mind. After getting a ground-saving trip, the Goldencents colt made a strong rally up the rail and shot past Spinoff late in the race to win by 3/4 of a length. 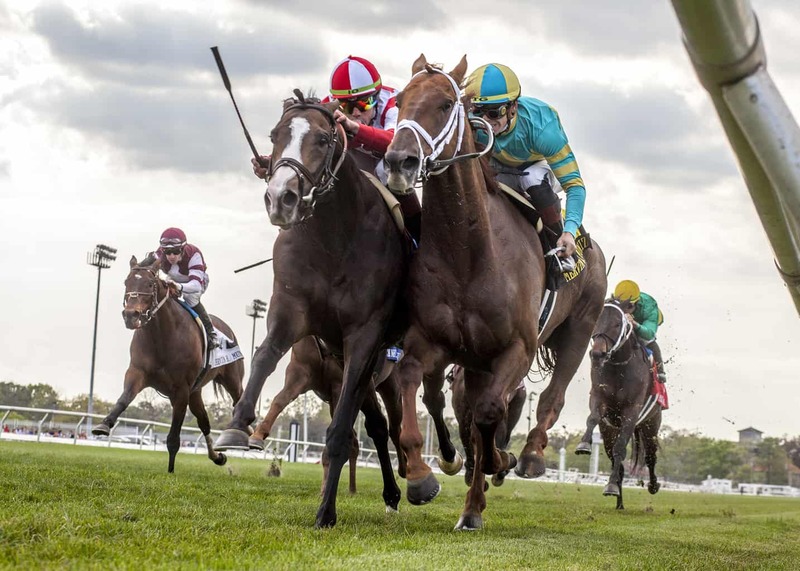 The top four finishers of this event have a chance to qualify for the Kentucky Derby based on points, and since War of Will already had enough coming into it, a total of five horses from this race could be in the starting gate on the first Saturday in May.